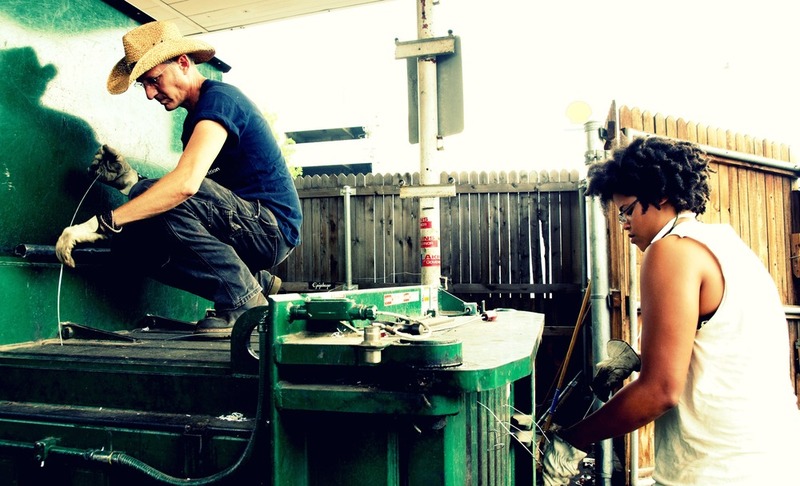 In the hot Austin, Texas summer heat during 2000 the workers of Ecology Action, a recycling center, decided they had enough. The staff of twelve, many of them longtime employees, were working hard informally running the center doing both the manual labor, and much of the administrative functions as well as running it’s various programs all while earning on average $7 an hour while the largely absent executive director was pulling $40k salary. Their boss was taking vacations while the workers continued operations in all weather. Under mismanagement EA was quickly running out of money quickly. They hit on the idea of running it collectively, but how could they get that past an indifferent boss and out of touch Board of Directors. They needed to do something. Austin’s Ecology Action had its humble birth on Earth Day 1970 by a handful of volunteers direct action to do something about the ‘garbage’ around them. They incorporated cooperative ideas into the nascent organization. Up until 1977-78 Ecology Action was largely run collectively by volunteers and some paid staff with no ‘boss’. In 1976 EA joined with other burgeoning coops (consumer, housing and worker) and businesses to form a mutual aid network dubbed Austin Community Project rooted in the ideas of direct democracy and cooperation. ACP only lasted a short time before it collapsed leaving only two surviving businesses. At the draw of the 70’s Ecology Action fell into a traditional non-profit model trap with a typical top down approach. Its only twist was that it generated a large portion of its money from being a business instead of donations. It remained this way until the millennium going through executive directors who took it through economic boom and bust cycles of business. No one can say exactly when the change in the workers came, but it started in that hot summer of 2000 which would lead to historic changes over the next year at the little ol’ recycling center in Texas. The workers deciding they wanted collective bargaining to raise their wages to a living wage and to get some benefits. In the all too familiar cliché of labor, the director and board refused to recognize their grievances for months. The small staff first reached out to the ‘professional’ local unions for support, but were dismissed since it was a non-profit and their staff was too small. Once again giant union bureaucrats left workers on their own. Then the local IWW GMB, which had been quite active since the mid 90s on local campaign stepped in to help formally bring grievances forward with the NLRB. In an all too familiar story the director continued to ignore the concerns demanding people return to work which lead to a work stoppage at the recycling center. Finally under the summer heat in 2001 it all erupted with the unmitigated/unfair? firing of an employee for helping to unionize. Most of the staff went on strike. Hot days were filled with picket lines of staff, Wobs in solidarity and supporters. Eventually some of the ‘management team’ joined the strike too. The center, normally open 24 hours a day for drop off, soon piled up in mountains of recycling materials edging towards the streets on all sides of the small corner lot. Scabs brought in were soundly blocked from entering by the strikers. As the strike entered its sixth week the board of directors finally fired the director and promised the workers they could run the center. Everyone returned to work diligently reducing the mountains to rubble again. A few weeks later the board sneakily rescinded and brought in another temporary ‘director’ to take the reins, fire disrupters, hire new employees and take control again. Texas is a ‘right to work state’ without much worker protection, so the workers did what they had to do--ultimately striking again. This time the board quickly caved to the demands under much controversy; with many resigning including the new director. The workers began to run Ecology Action returned to its collective roots for the first time since the 70s. Now that the workers had self-management of everything they had to start asking hard questions: How do we run a cooperative? How do we equal out wage disparities? What does work sharing look like? This was in addition to all the ‘normal’ questions that all businesses have about their operations. There were more than a few anarchists on staff who brought some of the principles and practices to the organization including horizontal decision making. They also looked to other horizontal worker cooperatives like Mondragon Café in Canada for inspiration and set out to write new policies based on and direct democracy with mixed success. The staff were able to give themselves benefits including health insurance for the first time, and vacations. They also raised the wages of those who had been at the bottom to a living wage, but there were still people who made more money from the old system(from being ex-management or seniority) and it was a constant thorn in sorting it out. Also there were vastly different interpretations of what self-management meant for those engaged in it. Some felt like everyone was a boss looking over their shoulder, others wanted it to mean that no one could tell them what to do and they didn’t have to be accountable to the collective, while still others tried to engage everyone in a path of power sharing that is really what cooperatives were about. Without the boss to hate they turned in on themselves while trying to sort it out. In 2006 the question of how to make it horizontal entered the dialog. People were hired who had experience in cooperatives or horizontal organizing. The organization became rooted in set principles and guidelines and an experimental nature was adopted of consciously trying out different models , concepts and practices based on the values of shared leadership, power and voices. Over the next two years tough decisions were made. People were fired because they didn’t want to be accountable to the collective or weren’t willing to change. Others left because we still had the gnawing thorn of wage discrepancy to deal with. They were given a choice to take a pay cut or leave with compensation. It was a messy and rocky but we equalized the wage. An interesting thing began to happen on the road to power sharing; as some of the old guard left (which was largely white men) the collective evolved more diversity including more women and queer folks occupying roles that where they had only scantly done so before. We continued to try different and new ideas as we struggled through not only the hard dirty work of recycling but also all of the internal work of creating a horizontal , sustainable workplace; ecologically, economically, socially and culturally. It’s a tall order to fill on any given day, but those were and are our lofty goals for creating just worlds. We continued to members of the IWW and became a job shop in 2009 as well as joining the US Federation of Worker Cooperatives. Our philosophy was that horizontal worker coops are an evolutionary step in workplace democracy. We wanted to have one foot in each. One was to union representation to support us if needed, and to support other workers if they needed it. Two was to continue to push horizontal worker cooperatives as the model to possibly adopt for future worker control. In a reductionist view of this we believe that to create new participatory economies we have to build businesses from the ground up if we want control and that is what we focused on in addition to the recycling. Two of us from Ecology Action co-founded another worker coop called Treasure City Thrift as a sister project (that is still thriving today also). Our evolving business models looked at multiple bottom lines and sometimes that meant making a lot less money or it meant dealing with the devil. Capitalism and its tentacles still reach every croner, but we have always strove to balance survival with principles to varying degrees of success. There are still many challenges to face and successes to be had, but we have lived first hand the closest thing to a fair blue collar business under capitalist system that I have ever been a part of. Ecology Action is still experimenting , still changing and hopefully opening doors for other workers to think about different strategies in creating democratic workplaces. 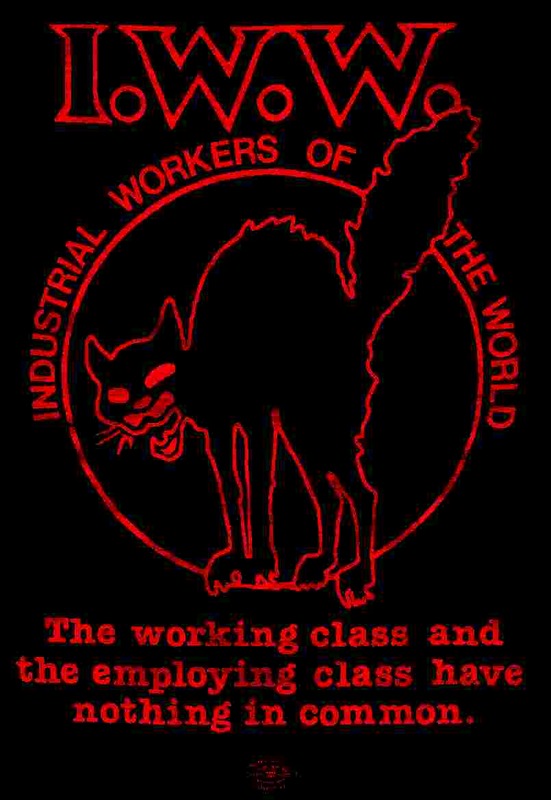 The IWW was the engine of the catalyst that propelled us into becoming now the oldest worker cooperative in Texas (13 years as of this writing).